This is a nice visual to help students remember the process of developing themes. 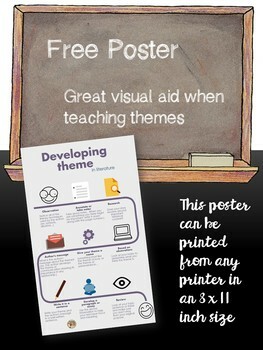 Free Poster to help students remember the steps to take when developing themes in literature. This is great FALL CENTER for students to practice ordering 3 digit numbers. 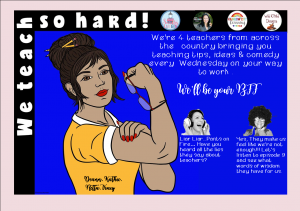 The kit includes a student direction page, 12 owl place value cards (3 digits each), and a recording sheet. 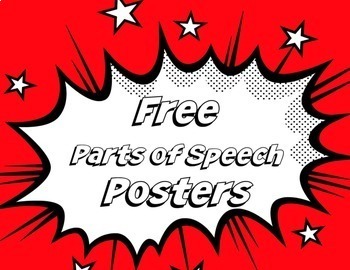 I recommend printing these pages on card stock and laminating for durability! 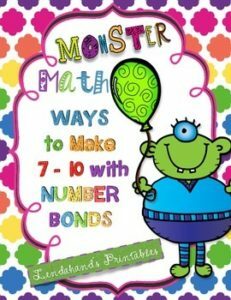 CCSS 1.OA.C.6 Students use the MONSTER COUNTERS to help them write the EXPRESSIONS and NUMBER BONDS to show all of the different WAYS TO MAKE 7, 8, 9 and 10. Looking for an easy word work station? Look no further! These sight word mats are perfect for October! 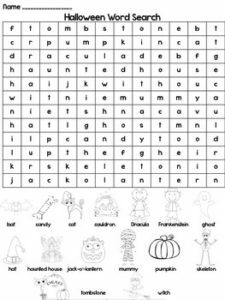 Simply print out these mats, add the materials, and provide students with the list of sight words they need to practice. I love to give my students flash cards and they can work on one word at a time. 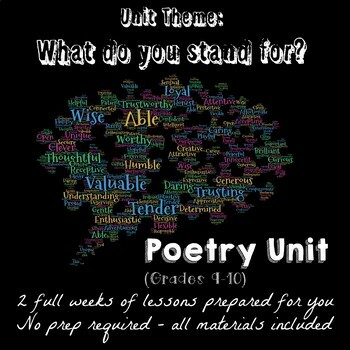 The mats are great because they can be used with any word, students just build the word on the mat! Includes numbers 0-10. All are colour and transparent. In creative writing, it is very important to create strong and dynamic characters. 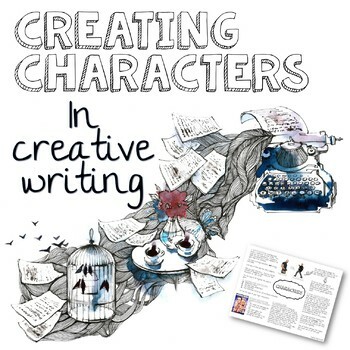 In addition, characters within a story need to have strong motivation, and their interactions with other characters need to add interest and appeal to the reader. 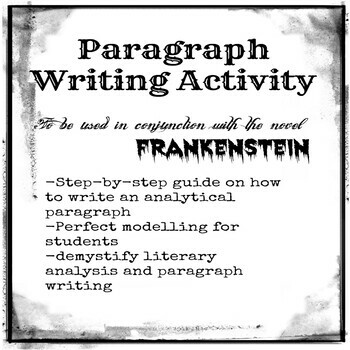 Included within this resource is a visual reminder to students in creative writing when it comes the time to incorporate characters in their work.Also included is a worksheet that will guide students in creating a strong main character and a second worksheet for orchestrating dynamic and plot-driven secondary characters that will keep the reader interested until the end of the story. 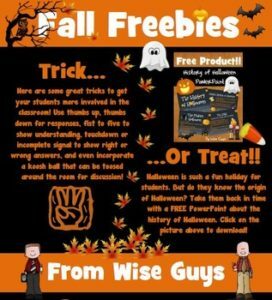 Enjoy this Fall themed FREEBIE! This activity consists of sixteen multistep inequalities for students to solve (eight for each partner). These problems will require students to use the distributive property, combine like terms, and deal with variables on both sides of an inequality. You can use this activity for practice, as a review, as a math center, or as an assignment choice for differentiating equation lessons. An answer key is included. 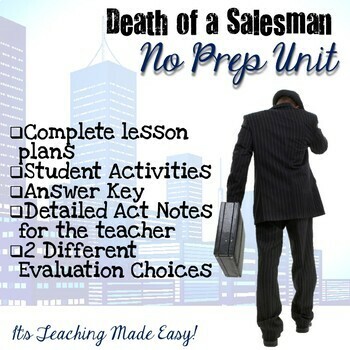 A number of partner activities on various topics are available for purchase in my store. 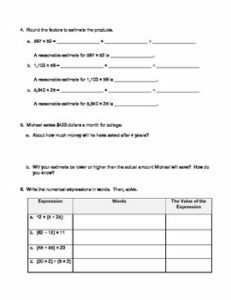 Partner Power: Multistep Inequalities FREEBIE by Activities by Jill is licensed under a Creative Commons Attribution-NonCommercial-NoDerivatives 4.0 International License. Name a book that has a witch in it! 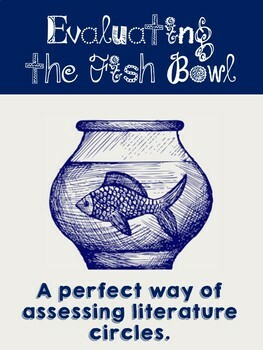 Find a word that rhymes with stew….Here’s a way to get kids to move around and open up a few books. Kids will enjoy this “seek-and-find” vocabulary activity, which is especially appropriate for students in grades 2-4.This activity works ESPECIALLY well when kids are allowed to work in pairs or with a buddy. 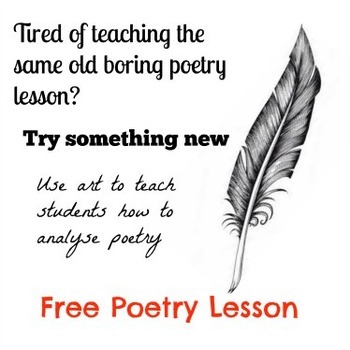 Have a slew of books out on a table or in a bin for them to peruse…just to make the hunt a little easier. Great for fast finishers and literacy stations. They can work independently, or as mentioned above, work with a reading buddy. 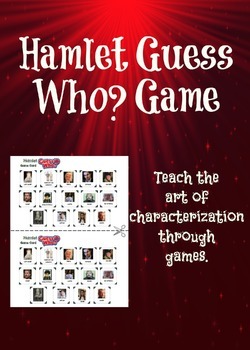 They’ll have a little fun with the third page which includes 5 riddles for which students need to find matching answers. They can illustrate those riddles or make a mini book with them after all is done. 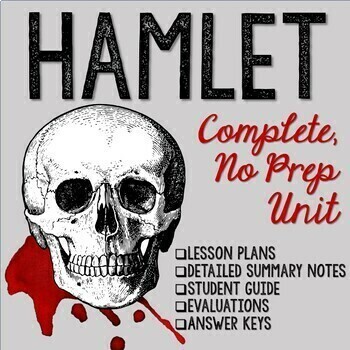 Thanks for considering purchasing, and choosing this product for your students. 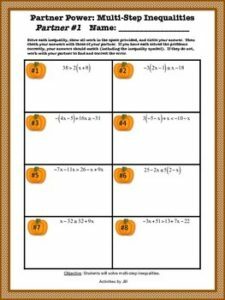 This is a fun, self-checking math center where kids read simple clues arranging the pumpkins in order from 1st through 5th. 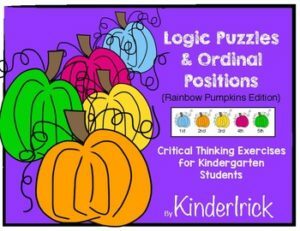 These logic puzzles foster critical thinking and problem solving skills. These Logic Puzzles are a class favorite. Prep it once and you’ll have it for years. This review packet covers all topics taught in lessons 1-15 on EngageNY’s 5th Grade math curriculum. 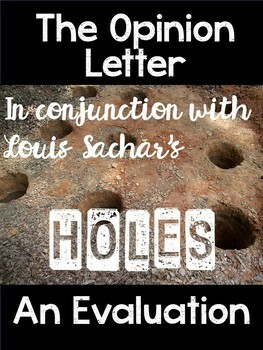 The packet has standard computation questions as well as word problems and will prepare students for their mid-module assessment. It’s important to provide students with targeted practice before their test to help alleviate any anxiety and support them in feeling confident on the day of their real assessment. This will also help identify any areas of misconception to provide structured reteaching before the mid-module assessment. 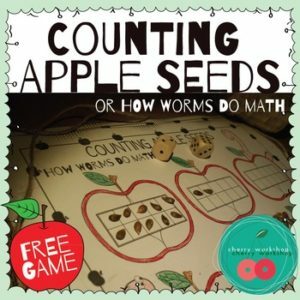 This is a fun game that will help kids learn and practice counting and simple addition and subtraction problems. It uses apple seed which by itself is a great fine motor skill exercise for the little fingers. If you don’t like to use seeds for any reason, you can still use the game with some other small manipulatives. The aim of the game is to make exactly 10 by rolling a die. It’s a bit tricky though for if your sum get more than ten you have to subtracts. 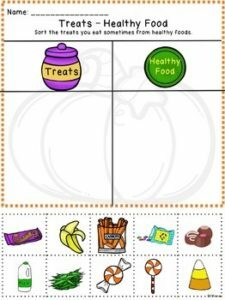 These free life-skills sorting activities are just like those found in All About Healthy Foods: An Interactive Nutrition Unit for Special Education. 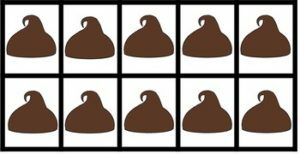 These free sorting activities are great for life skills classrooms for Halloween and other times. They can be used in schools that can’t have witches and ghosts or similar Halloween symbols. There are 2 sorting activities sorting candies and sweets from healthy foods. 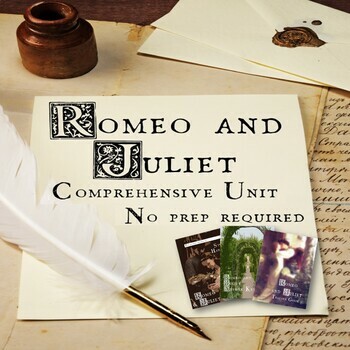 The 2 sheets that can be used as cut-and-paste worksheets or laminated to be reusable. Autism Adapted Vocabulary Books Household Words BUNDLE . 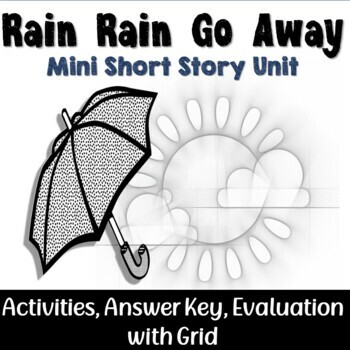 This product is copyrighted to Christine Reeve 2014 for use in one classroom. They may not be copied for additional classes without purchasing extra licenses. For bulk discounts, please email me at drchrisreeve@gmail.com. 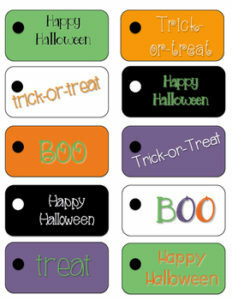 Treat Tags (10) : Print and cut these out to attach to treats for your students, colleagues, athletes, advisees, volunteers, etc. Treat Table Tent: Print and fold this Halloween treat table tent and put it out next to treats for your students, donuts in the faculty room, coffee at a parent meeting, etc. this October. 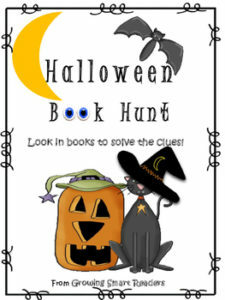 This activity comes from my new awesome roundup of Halloween materials, The ELA Middle Grades Halloween Party Pack. 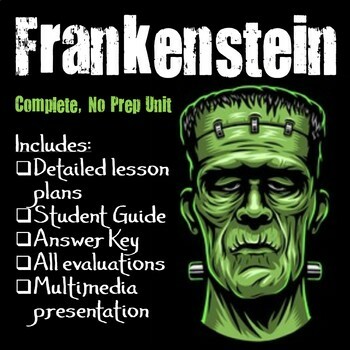 Get everything you need for your class Halloween party in one quick download! 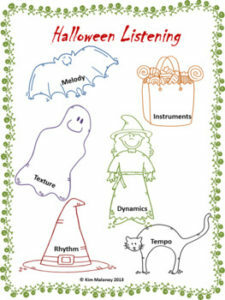 Looking for other great Halloween materials? Click the green star above to get updates on sales and freebies from Spark Creativity.